Our company greets all our American customers and partners with Independence Day! Here in Ukraine we especially understand the importance of fighting for your rights and we know the cost we pay for our Freedom. As Elmer Davis said: “This nation will remain the land of the free only so long as it is the home of the brave”. 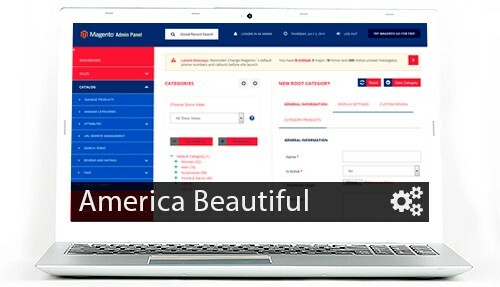 To celebrate this great day we dedicate our new patriotic America Beauty Magento admin color scheme to the Fourth of July. Have the best 4th of July, Happy Birthday America! News, Wunderadmin 4th of July, admin theme, color schemes, holidays, wunderadmin. permalink.